Nina, French citizen, has a Master degree in International Development and Management from Lund University. She has often concentrated her studies on challenges regarding children development and communication processes. Over the years, she acquired experience from working on peace and conflict issues with NGOs in Paraguay, Malaysia and Indonesia especially engaging with youths in informal settlements as well as New York City interning for the artist JR on the Inside Out Project. Nina fell in love with Brazil a year ago, and she feels truly blessed to be back in a country she considers like home working at Casa Amarela and valuing the role of art and culture for the youth and favela’s inhabitants. Half French half Brazilian, Tiphanie was born in Paris, and has a Master degree in Foreign Trade, Foreign Languages and Translation. Over the years, she has worked for NGO’s such as CCFD, Ford Foundation, Autres Brésils and Filhos do Marajó. Two years ago she decided to drop everything and move back to Brazil. She became a french teacher and met Casa Amarela through a project she worked on, for France Télévisions. She has now been working at Casa, where she started as a volunteer, for a year and a half as one of the two project managers. Working at Casa Amarela and more importantly with children has been a life changing experience, but also the best way to reconnect with her roots and help bringing what is most important, art and education. 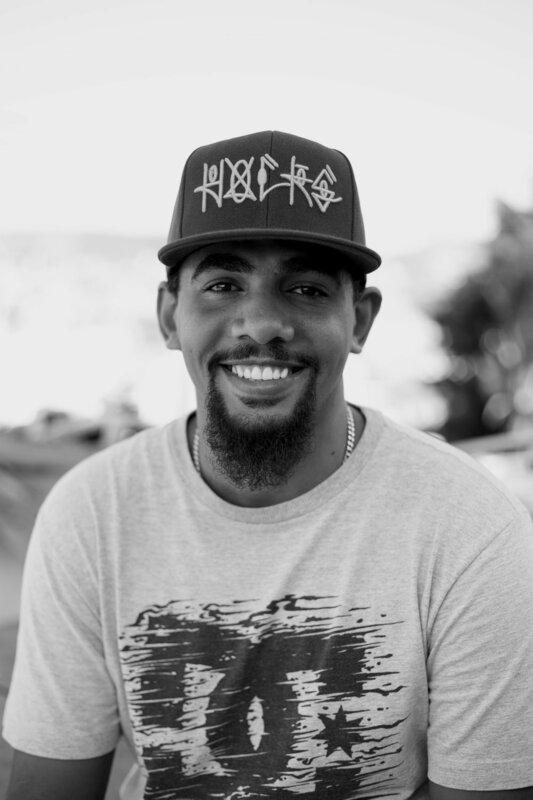 Douglas grew up in Morro da Providência and has been working with Casa Amarela for more than 8 years already. He learned the art of photography thanks to the support of Mauricio Hora and several courses he attended through the School of Art and Technology with Vik Muniz, Marisa Orth and Gringo Cardia’s studios. As a photographer, he started to capture the life in the favela and portraits of its residents. While pursuing a degree in Physical Education he also focuses on graffiti work and learning from the various artists he meets. He is the official photographer at Casa and enjoys capturing the everyday learning experiences of its youths and adults. Douglas also dreams to travel the world, with NYC as his first stop! Taígo is the youngest team member. 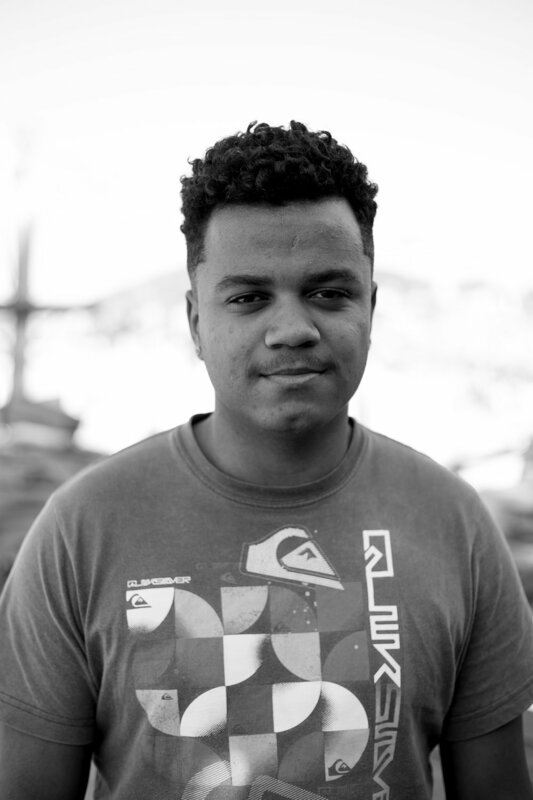 Originally from Morro da Providência, he started frequenting Casa Amarela as a child almost a decade ago, taking photography lessons with Mauricio Hora, photographer and friend of JR’s. Soon off to college, he can be a proof of how Casa Amarela can be a life changing experience. Acting as a facilitator, he knows the whole community and helps spread the word about Casa Amarela’s projects and events. JR, French artist and photographer opened Casa Amarela Providência in 2009 after his project Women Are Heroes giving a voice to the women of Morro da Providência through art. He always wanted to find a way to help the community through the art, and Casa Amarela Providência was created in an effort to support the children of the community, opening a cultural center that would become their safe space to grow and develop their artistic skills. Local photographer and resident of Morro da Providência, Mauricio Hora created Casa Amarela with JR following the project Women Are Heroes, in which he collaborated. Mauricio uses photography to document the life in conflicted areas, and his projects have been known internationally. With more than 20 years of dedication to photography and his knowledge of the community, Mauricio also helps in communicating with its residents and spread the word about the work that is being done at Casa Amarela Providência. Studio director and JR's producer in New York City, he leads the Brazilian team on a weekly basis. Marc lived in Brazil for more than 2 years and fell in love with this country’s culture and singularity. Through his involvement with Casa Amarela Providência, he gets to stay in touch with this appreciation for Brazil and his knowledge of the Brazilian culture is definitely an asset for his team on the field.